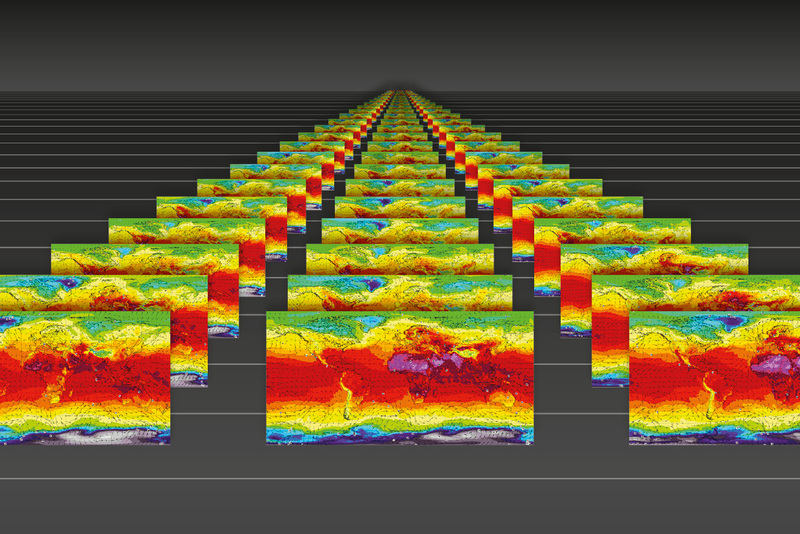 The TIGGE dataset consists of ensemble forecast data from ten global NWP centres, starting from October 2006, which has been made available for scientific research. TIGGE was established as a key component of THORPEX: a World Weather Research Programme to accelerate the improvements in the accuracy of 1-day to 2 week high-impact weather forecasts for the benefit of humanity. Although the decade-long THORPEX programme finishes at the end of 2014, TIGGE will continue for a further 5 years, when its future will be reviewed. While TIGGE data is available free of charge, TIGGE users are strongly encouraged to publicize all of their research articles and applications that use any aspect of TIGGE data by emailing ECMWF's service desk with a link to the article. How to refer to TIGGE in a paper and list of TIGGE articles.